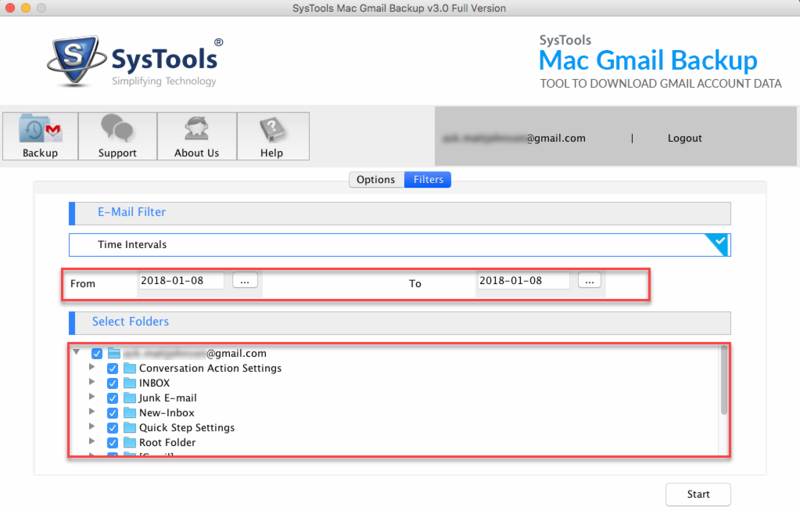 The Gmail backup tool for MAC allows you to take Gmail account backup of a single user. The Gmail backup process of the software includes all the folders like Inbox, Draft, Sent Items, etc. of that account. For a fast Gmail backup process, one needs to have a good internet speed. 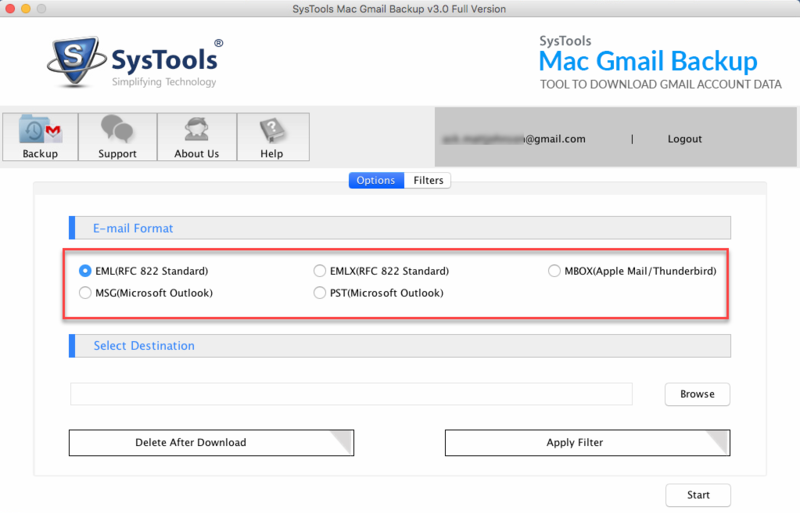 The MacWareTools Gmail backup Software allows users to export Gmail to PST without Outlook. Similarly software allows you to export Gmail emails for other email clients file formats like MBOX (Apple Mail, Thunderbird, Entourage, Netscape etc. ), MSG (Microsoft Outlook), EML (Windows Live Mail, Outlook Express, Apple Mail etc. ), EMLX (Apple Mail). The Gmail backup tool for Mac allows users to take backup of selected folders. This will save time for taking backup of unnecessary folders that are not required. For this, you just need to check or uncheck the folders you want to take backup. The Mac Gmail backup utility allows you to backup gmail to PST, EML, MSG, MBOX & EMLX to a specific date range. Applying date filter, saves downloading unnecessary emails from a Gmail account. 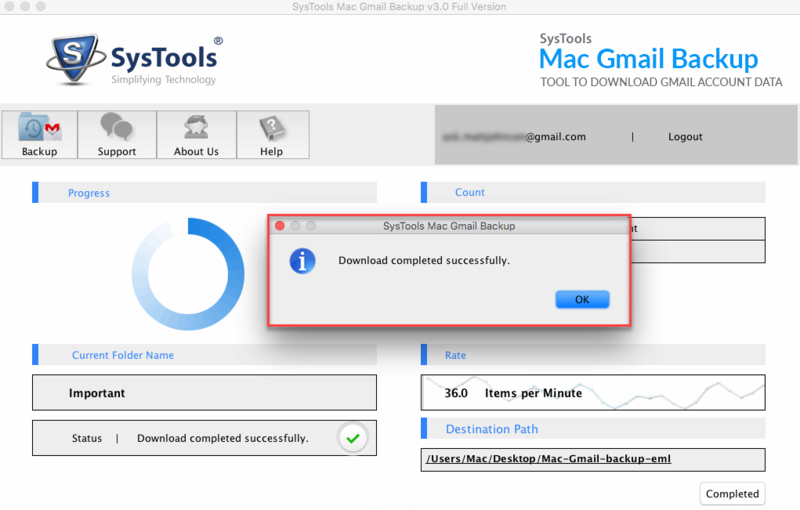 The MacWareTools Gmail backup software allows you to pause and resume the download process during backup of emails. Software has the functionality of auto resume the backup process, if the internet connection is lost in the middle of the backup process. For this, you just need to provide login credentials for that account. After converting Gmail to PST, MBOX, EML, MSG & EMLX, the Gmail backup software for MAC will allow you to export the complete backup detail like Source Path, Destination Path, Mail Count, Fail Count etc. in a CSV file. 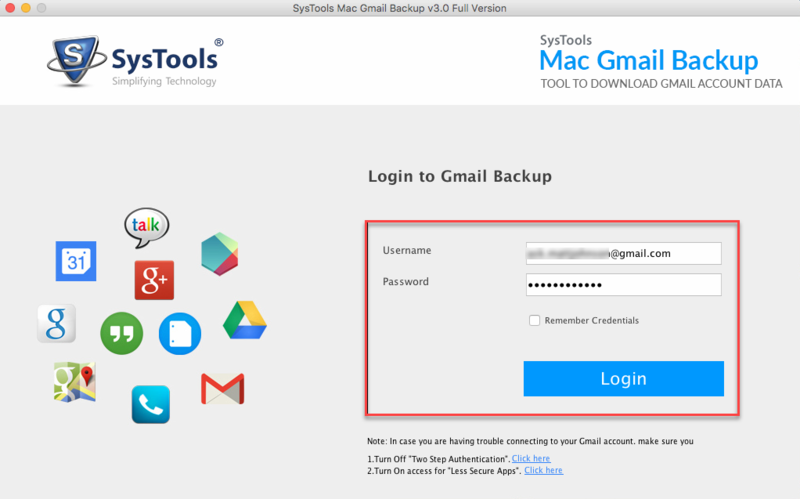 How Mac Gmail Backup Tool Works? Working with such an advance utility made my work easy. I never thought about such type of solution for taking Gmail account backup to various email client formats. Thanks to MacWareTools. This Gmail backup tool for MAC is one of the best third-party applications I have ever used in my career. Archiving emails of a specific year from Gmail account was a very challenging task for me. However, this brilliant software does this in few simple clicks with high accuracy. The software comprises an easy-to-use interface and can even be accessed by a novice user. I am really grateful to the team who developed this software and I must say this is an incredible utility. I wanted to take a backup of only Sent Items folders of my Gmail account and the software has enabled it for me. I want to thank the developers for making such a great backup tool for Gmail account. I tried this Gmail backup utility to export Gmail to PST to manage my organizations emails on my MAC Outlook 2016 system and it worked like a charm. 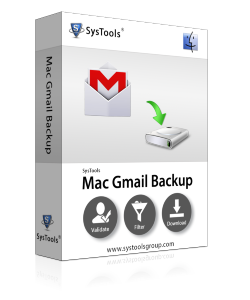 Demo version of MAC Gmail backup software enables you to export first 100 emails from Gmail to PST, MBOX, EML, MSG, EMLX. Note: Software will take backup of only FREE Gmail Account ( with " ***@gmail.com " ). How can I take Gmail account backup using this Software? Can I archive Gmail emails by date using MAC Gmail Backup Utility? Yes, Software allows you to take Gmail account backup using date filter option. Is there any option to take backup of specific folders of my Gmail account? Yes, MacWareTools Gmail backup Software allows you to backup selective folders. For this you just need to check the folders you want to take backup. Do I need to Install MS Outlook If I need to export Gmail to PST? No, the tool does not require to have installed any email client in Gmail backup process. Will I be able to export Gmail to PST If any Internet failure occur during backup process? Yes, Software allow you to Pause and Resume the backup at any time during backup process. Can I backup Gmail emails on MAC OS X? Yes, Software supports to work on Mac OS X 10.8 and above versions.